SINGAPORE - Uniqlo's latest collaboration with iconic style personality Carine Roitfeld is set to launch in Singapore on Friday (Oct 30). The influential chief editor of biannual fashion publication CR Fashion Book has lent her signature look of sharp tailoring, sleek pencil skirts and dashes of textured print to the collection. The former editor-in-chief of Vogue Paris worked with Uniqlo's design director Naoki Takizawa for the capsule project. With prices ranging from $14.90 for a pair of tights to $299.90 for a wool-blend coat, the collection is sure to draw crowds with its combination of Parisian sophistication and affordable prices. It will be on sale at Uniqlo's Ion Orchard store (B2-38/B3-51/52), with selected pieces available online (www.uniqlo.com/sg). 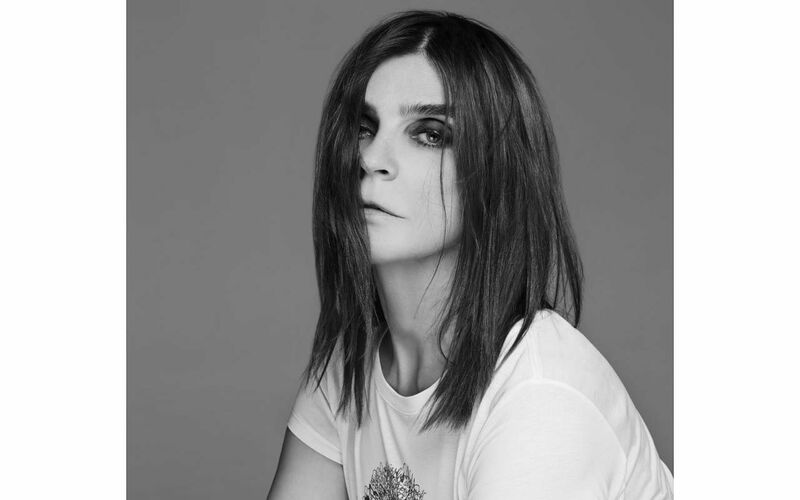 Here are seven things you need to know about Carine Roitfeld and the collaboration. Probably one of the most revered women in fashion, Carine Roitfeld was not only editor-in-chief at French Vogue for 10 years but has also styled campaigns for luxury labels including Yves Saint Laurent, Calvin Klein, Chanel and Tom Ford. Besides being the founder and chief editor of CR Fashion Book, she is also currently the global fashion director of Harper's Bazaar. In the documentary Mademoiselle C (2013), a film which chronicles Roitfeld's launch of CR Fashion Book, designer Tom Ford calls her his "ideal woman", saying that "she has become a legend in her own time". Roitfeld and partner Christian Restoin, founder of French label Equipment, have been together for more than 30 years, though they are not married. The couple have two children, Julia Restoin-Roitfeld, 34, and Vladimir Restoin-Roitfeld, 30. Vladimir is an art dealer and the founder of Feedback Ltd., a private art dealership based in Manhattan. Julia is an art director and model who is based in New York. She has a three-year-old daughter, Romy Nicole, who is often featured in adorable pictures posted on Roitfeld's Instagram account (instagram.com/carineroitfeld/). In the advertising visuals by master fashion photographer Steven Meisel, model Lexi Boling was styled to look almost exactly like Carine Roitfeld, from her hair to her smoky eyes. Roitfeld, a fan of labels such as Saint Laurent and Givenchy, created the collection with everyday fashion in mind. In an interview with British newspaper The Telegraph, the 61-year-old editor said: "I started from the idea of clothes that I would want to wear myself, and developed this into clothes that anyone would want to wear, a woman's ideal of clothes that make her feel transformed when she wears them." Pencil skirts are a Roitfeld staple, and the ones in this collection are both fashionable and practical. She designed the skirts to be just below knee, saying that this was the ideal. "And they have pockets, because that's what gives a pencil skirt attitude," she told The Guardian. The 50 piece collection comprises of a wide range of chic work wear, such as wool blended tailored jackets ($199.90), silk blouses ($79.90) and of course, pencil skirts ($59.90). The collection also includes accessories such as silk scarves ($29.90), belts ($49.90), a crocodile patterned shoulder bag ($29.90) and a tote bag ($59.90). Roitfeld is not the first Parisian to work with the Japanese label. Uniqlo collaborated with French model and designer Ines de la Fressange for a women's spring/summer line in 2014 and another women's line for fall/winter 2015. The casual wear retailer also collaborated with French label Lemaire on a men's and women's collection, which was released in stores worldwide earlier this month. Uniqlo's Ines de la Fressange 2015 collection is available at its Suntec City outlet and its online store. Uniqlo's Lemaire collection is currently available at the brand's ION outlet and at its online store.